- Located in the planned area. - The infrastructure systems have to meet production requirements such as: electricity, food storage, storage and preservation of machinery, tools, materials and other ancillary works depending on the facility. There is sufficient water supply, separate drainage, water storage or settling pond accounting for 20-25% of the farming area and wastewater treatment system. 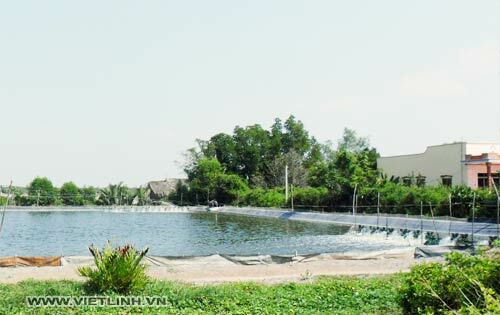 - The facility has to ensure farming equipment, machinery, specialized tools such as paddlewheel aerators, paddle wheels, water pump, fishing nets, scales, buckets, environmental measuring instruments for pH, oxygen, NH3, H2S, salinity, alkalinity, etc. and other auxiliary equipment. - Strictly adhere to the seasonal calendar guided by the locals.